Recent seasons have seen Behzod work with leading orchestras worldwide, such as the Los Angeles Philharmonic, Boston Symphony, NHK Symphony and the Czech Philharmonic orchestras, and prestigious conductors including Vladimir Ashkenazy, Valery Gergiev, Manfred Honeck, Vasily Petrenko, James Gaffigan, Osmo Vänskä, Thomas Dausgaard and Vladimir Jurowski. He also toured China with the London Philharmonic Orchestra, and performed at the Festival Piano aux Jacobins in recital and in concert with the Orchestre National du Capitole de Toulouse under Tugan Sokhiev. Continuing his collaboration with The Mariinsky Orchestra and Valery Gergiev, last season Behzod performed in their Prokofiev Piano Concerto cycle at concerts in Stockholm, Vienna and Dortmund. This was followed by a major tour of the US with them, which included his impressive concerto debut at Carnegie Hall. Shortly afterwards he gave his recital debut in the Weill Hall as part of the “Distinctive Debuts” series which resulted in an immediate re-invitation to the Stern Auditorium. Behzod’s upcoming European highlights include concert debuts with the Münchner Philharmoniker, Gewandhausorchester Leipzig, Rotterdam Philharmonic Orchestra, Orchestre Philharmonique de Radio France and the Gothenburg Symphony. In recital Behzod is one of the featured artists for the Junge Wilde series at the Konzerthaus Dortmund for the next three years, and also gives recitals at Wigmore Hall, London; Salle Gaveau, Paris; MünchenMusik and AMG Konzerte Basel. In the US, Behzod will make his debut with Seattle and Dallas Symphony orchestras and returns to the Los Angeles Philharmonic. In recital he will appear as part of the People’s Symphony Concerts, New York; Tuesday Evening Concert Series, Virginia; Shriver Hall Concert Series, Baltimore; Spivey Hall, Atlanta and the Washington Performing Arts Series. 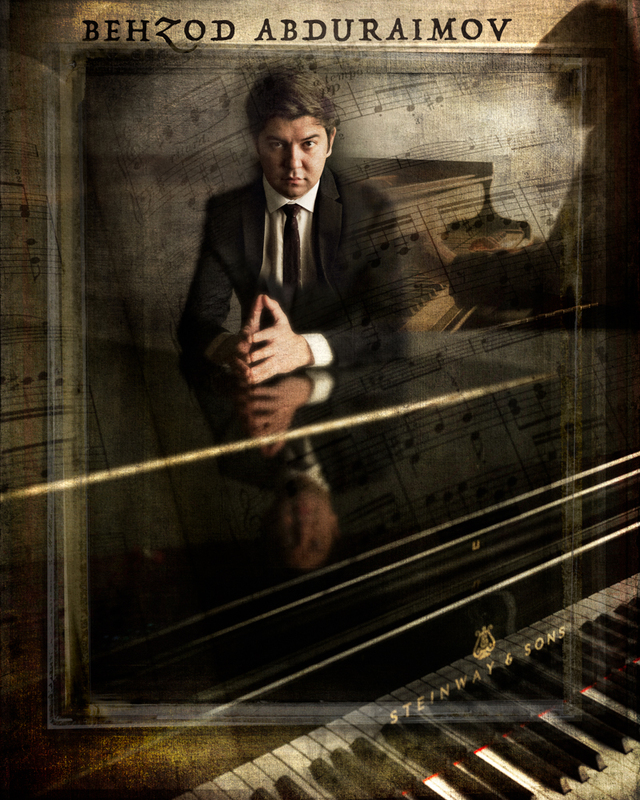 Born in Tashkent in 1990 Behzod began to play the piano at the age of five. He was a pupil of Tamara Popovich at the Uspensky State Central Lyceum in Tashkent, and studied with Stanislav Ioudenitch at the International Center for Music at Park University, Kansas City, where he is now Artist in Residence.